In a post from the beginning of the decade, author Rosemary Thornton (in a now-defunct blog) compiled a list of the Sears models that had never been seen anywhere before. Six years later, many of those previously unseen models have been located. 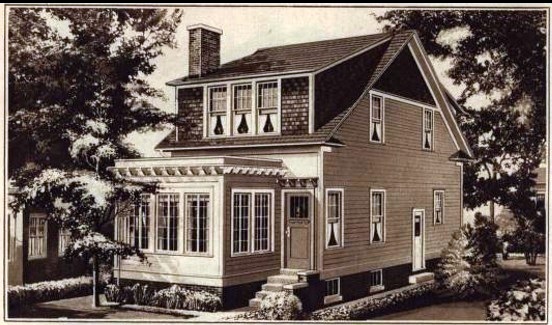 This vast progress in finding Sears homes can be attributed to one simple thing: Collaboration. In the last few years, researchers nationwide have begun working together to share information, search mortgage records, and wade through hundreds of old news articles and classified ads. When Rosemary compiled her list years ago, some of those rare models had already been identified by other researchers, but she was not privy to that knowledge. Thankfully, the days of researchers working independently and in isolation are over. 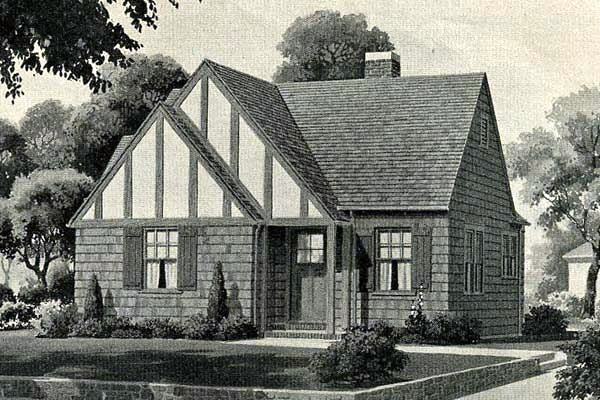 Let's take a look at a couple of the previously unseen models in the Chicago area that have recently been added to the National Database of Sears Homes. In the last year, we added over 4,000 homes to the database--maybe some are in your town! Sears Auburn. 84 S. Caroline, Crystal Lake. Authenticated with a mortgage record. The Auburn was sold for only one year, which is why none have been located to date except this one. Sears Oxford. 217 North Ave., Highwood. Authenticated with a mortgage record. The Oxford was sold only during the Great Depression, which is why none have been located to date except this one. Sears Oxford. Scan courtesy of Antique Home. I love that Auburn! Great find for you. And yes, we've come a long way since we got away from the toxic environment in that large Facebook Group. The best thing that ever happened to our research efforts was when Rose Thornton and Rachel Shoemaker booted us all out of there. Now we can focus our efforts, collectively, on locating, documenting, and promoting Sears and other kit houses, in an effort to preserve and protect the ones left standing. Looking forward to another 3,000 finds in 2017.